Cruise Port Connection - Skagway Reviews, Port Contacts & more.. Welcome to an unforgettable Yukon Jeep Klondike Adventure! After transferring to the base camp just outside of Skagway, you will have a brief orientation before boarding your four-wheel drive Jeep Wrangler. Each jeep holds up to four guests. If you do not have four in your group, don't worry, we will match you up. Once set, you'll head out to follow the same valleys and summits of the Trail of '98. Your small group of explorers will journey into the Yukon Territory, tracing the famous routes taken by the hearty gold prospectors in the late 1800s. You'll be driving your Jeep into the very setting of the fabled gold rush legends told by Robert Service. Your tour guide in the lead Jeep will entertain you with the lore of the gold rush era by means of an interactive radio system. Driving a four-person Jeep Wrangler provides you the freedom of exploring Klondike Gold Rush routes from the roads less taken. Amazing vistas, accessible only by off-road vehicle, await you. View Pitchfork Falls, Moore Bridge, Dead Horse Gulch, Bracket Wagon Trail, and Tormented Valley en route to the historic village of Carcross, named after the narrow Caribou crossing at the headwaters of the mighty Yukon River. Your rugged Jeep Wrangler will take you up Montana Mountain where your panorama includes a view of the Carcross Desert, the smallest desert in the world. There are several points along your route where drivers can rotate. A drink and snack will be enjoyed during one of the stops. All U.S. and Canadian citizens are required to have in their possession, a photo I.D. and a passport. People of all other citizenships are required to have a photo I.D., a passport, and visa (if required). Come aboard the Helicopter Glacier Discovery, leave all traces of civilization behind, and experience the infinite beauty of Alaska's remote glaciers. Lift off from the historic Skagway waterfront and head into a rugged region of sheer mountains, majestic valleys and massive glaciers. Jagged peaks towering over the Chilkat Glacier, cascading waterfalls, surrounding the Ferebee Glacier, or the spectacular river of ice known as the Meade Glacier may be among the wonders you encounter. Flight routes and landing zones are selected daily to ensure that you receive the best that the area has to offer. Once you have reached your destination, you will be given the rare opportunity to explore one of Mother Nature's greatest marvels. Enjoy the walking tour of a lifetime as our experienced glacier guides answer all of your questions and show you examples of the awesome forces of nature at work. Tour includes approximately 40 minutes in the aircraft and 40 minutes on the glacier. Times will vary due to weather and glacier conditions. Space is limited. Tour includes approximately 40 minutes in the aircraft and 40 minutes on the glacier. Times will vary due to weather and glacier conditions. Space is limited. Sure to be a highlight of your Alaskan experience, the Skagway City and White Pass Summit Tour begins with a guided mini-coach tour of Skagway’s Historic District. Your guide will explain why Skagway was known as the toughest town on earth during the Klondike Gold Rush of 1897-99. You will visit historic points of interest such as the Klondike Gold Rush Cemetery (aka Skagway's Boot Hill), where you will learn of the gunfight between Frank Reid and Soapy Smith, the most famous shootout since the OK Corral. A stop will also be made at the Scenic Skagway Overlook. Your guide will take your picture with the town below, the mountains in the background, and your cruise ship in the harbor. As you journey up the scenic Klondike Highway, you will travel parallel to the historic White Pass Trail much of the way to the 3,292 foot summit. Along this glacier carved valley are glaciers, thundering waterfalls, majestic mountain vistas and pristine wilderness. Once at the summit, you will descend into the daunting Tormented Valley in British Columbia, Canada. It is this area which inspired the classic authors Robert Service and Jack London. The Tormented Valley is an eco-tone; here, two separate ecosystems transform to become the other. After visiting this area of 300–400-year-old trees known as “Krummholz,” many of which are no taller than chest-high, you will return to Skagway. During your tour, various photo stops will be made to help you maximize your Alaskan experience. Please Note: This tour will be crossing the Canadian border and then back across the U.S. border. All U.S. and Canadian citizens 16 and older traveling between the U.S. and Canada are required to present a valid passport (or government authorized "enhanced" driver's license.) We recommend you bring a photo I.D. as well. U.S. and Canadian citizens who are 15 years old or younger may travel with a certified birth certificate. People of all other citizenships are required to have a photo I.D., a passport, and visa (if required). All minors must be accompanied by a legal guardian. In 1999 The Klondike Gold Fields moved and restored a 1937 Gold Dredge from its working claim in the Klondike Gold Fields of the Yukon. The Dredge is a 350 ton Gold sifting machine brought back from the Klondike and reconstructed piece by piece on the shores of the Skagway River. You will see images of the Dredge in action; while hearing the voices of hardy old-timers who toiled under the Midnight Sun for the tons of recovered Gold. Short videos and audio presentations let you view the people and places affected by the Gold Dredge during its 60 years of operation. TAKING THIS TOUR WAS AN EXPERIENCE I WILL NEVER FORGET. ALL TOGETHER THE ALASKAN CRUISE EXPERIENCE CHANGED MY LIFE. Alaska Bicycle Tours will take you beyond the main tourist routes for an unforgettable northern vacation. View breathtaking mountain peaks wrapped in glacial ice as you bike the local roads and trails with eagles soaring overhead and whales spouting in the distance. Join us for a few hours of outdoor adventure or come along for a 10-day Alaska Bicycle Tour of a lifetime! TEMSCO will take you on an exciting excursion to remote glacier-filled valleys and the vast gold rush country beyond historic Skagway. You'll lift off from the heliport near the Skagway harbor into a rugged region of sheer mountains and glaciers. Waterfalls drop hundreds of feet to the valley floors giving a truly awe inspiring experience. See Skagway and the glaciers in the best possible way from the safety of a TEMSCO Helicopter! Along with your costumed conductor on your yellow 1927 sightseeing bus, you’ll explore the Waterfront and National Park Historic District and enjoy the panoramic views from the Scenic Overlook. The talented crew of costumed “Street Car conductors,” pass on a century of history, behind-the-scenes tales, and stories of life in small-town Alaska. Multiple departures make it very easy to combine the Street Car Tour experience with other tours and activities during your day in Skagway. All aboard the Street Car! Experience the historical thrill of the 1898 gold rush. Participate in a truly northern pastime while learning all about these amazing sled dogs and their mushers. This is the world famous White Pass Scenic Railway with a touch of class.Ride aboard an old-fashioned parlor car retracing the original route to the summit of White Pass. This is a must when visiting Alaska. 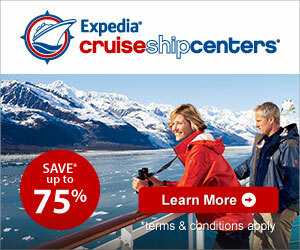 Booking a Cruise to Alaska is one of those moments that you never forget. Making the decision to take the step out of the ordinary and go out into the wilderness is one that will last with you forever even as much as taken the cruise itself. Deciding to visit Alaska will be your first step to a whole new adventure of cruising and will open your eyes to world that you didn't even know existed. Anyone been to Alaska? What was your favorite adventure? It’s time to start planning for Alaska. If you have something booked already start looking at the tour options. Most cruise lines allow you to pre book your tours up to 6 months in advance. Booking in advance will save you the disappointment of not getting the tour you want as a lot of tours have limited capacity so it is smart to plan ahead. If you haven’t booked and are thinking about it book early as prices are often lower for Alaska when you book in advance. Not sure? Then check out the website to see all the great things you can do in Alaska. Skagway is a first-class town in Alaska, on the Alaska Panhandle. It was formerly a city first incorporated in 1900 that was re-incorporated as a borough on June 25, 2007. As of the 2000 census, the population of the city was 862. However, the population doubles in the summer tourist season in order to deal with more than 900,000 visitors. The port of Skagway is a popular stop for cruise ships, and the tourist trade is a big part of the business of Skagway. The White Pass and Yukon Route narrow gauge railroad, part of the area's mining past, is now in operation purely for the tourist trade and runs throughout the summer months. Skagway is also part of the setting for Jack London's book The Call of the Wild. Skagway (originally spelled Skaguay) is from the Tlingit name for the area, "Skagua" or "Shgagwèi" meaning "a windy place with 'white caps on the water."